Born with cataracts in both eyes, Sidiatu’s blindness required her Mum’s undivided attention, and broke her heart. Fatmata had been searching for hope for over a year – hope that her baby daughter might have a normal life. Fatmata’s older daughter watched the little Sidiatu when her mother went to the market to sell home-made soup. Like so many other families in Sierra Leone, her husband was out of work. 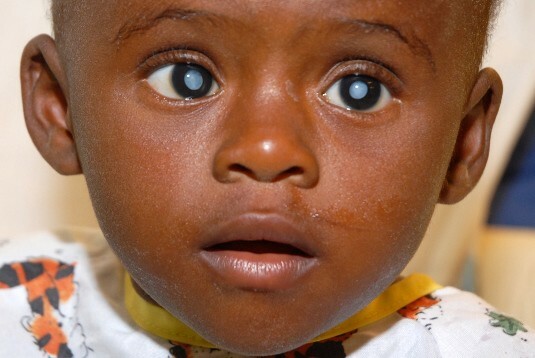 Sidiatu had cataract surgery in a local clinic, but it was not successful. A second hospital couldn’t help, either. Finally, Fatamata was referred to an eye screening when the Mercy Ship arrived in port in 2011. 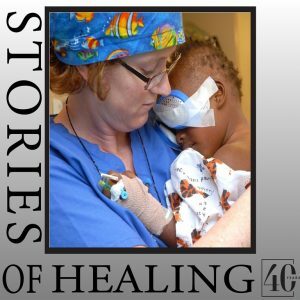 Sidiatu had free surgery on the hospital ship to remove the cataracts that clouded both her eyes. Very active and curious, the little girl kept trying to remove the protective bandage. 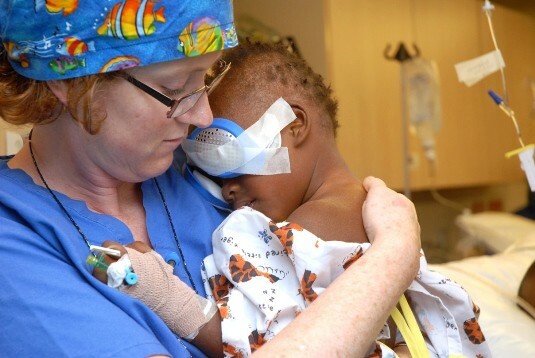 Kiwi nurse Liz wrapped Sidiatu hands to ensure the eye protection remained in place. Early in the morning following the operation, the surgeon removed her bandages. Those in the ward held their breath as the little girl surveyed the world around her – for the very first time. Anxious to grasp a balloon, she suddenly stopped. Sitting perfectly still, Sidiatu stared straight ahead in an effort to take it all in. Then, quickly, she closed her eyes. The doctor said that this was a normal reaction. The child’s senses were overwhelmed, and she was returning to a place of comfort – the familiar darkness. 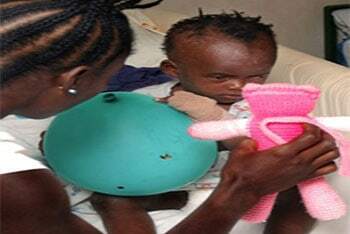 Soon, Sidiatu opened her eyes again. A toothbrush was set before her, and then a toy that was just out of reach. She stretched out her hand to grasp the red and blue truck. A low gasp was audible in the ward. It was obvious – she could see! Tears welled up in the eyes of those who were privileged to witness this miraculous moment. The doctor grinned. A single tear ran down Fatmata’s cheek.